Despite NATO’s intense military buildup in Eastern Europe, the largest since World War II, US officials warn that, in the event of an invasion, alliance forces could be overwhelmed by Russia in less than three days. The ongoing military buildup along Russia’s borders has been criticized as an unnecessary provocation that threatens to destabilize the region. "There has never been such an amassing of hostile military force on Russia’s Western frontiers since June 1941 when Hitler invaded the Soviet Union and that’s the way the Russians see it," Professor Stephen F. Cohen said in a recent interview with The John Batchelor Show. But despite this strong military presence, the US Deputy assistant secretary of defense for Russia, Ukraine, and Eurasia, Michael Carpenter, suggests that it’s still not enough. During a Senate Foreign Relations Committee hearing earlier this week, Senator Cory Gardner (R-CO) asked Carpenter about a report from the RAND Corporation think tank declaring concerns that Russian forces could overtake NATO in just 60 hours. According to Carpenter, the recent buildup has not alleviated those fears. "By the end of 2017, when we implement all of the ERI [European Reassurance Initiative] funding that is coming online, that we will be much better poised to address the challenges and much better poised to deter Russian aggression in that region than we are now," he said. "I don’t know that we’re significantly more advanced now than when the RAND report came out, but I am confident by the end of 2017, when we have an additional armored brigade combat team worth of force posture on the eastern flank of the alliance, that we will be." Carpenter’s warning comes as NATO Secretary General Jens Stoltenberg seeks greater defense spending for the military alliance. "Tensions are going up, we are living in a more dangerous world, we see a more assertive Russia to the east and we see all the turmoil and the violence to the south," he said during a Thursday press conference. "It’s ok to reduce [spending] when tensions are going down as long as we’re able to increase defense spending when tensions are going up, and that’s what I expect NATO allies to do." 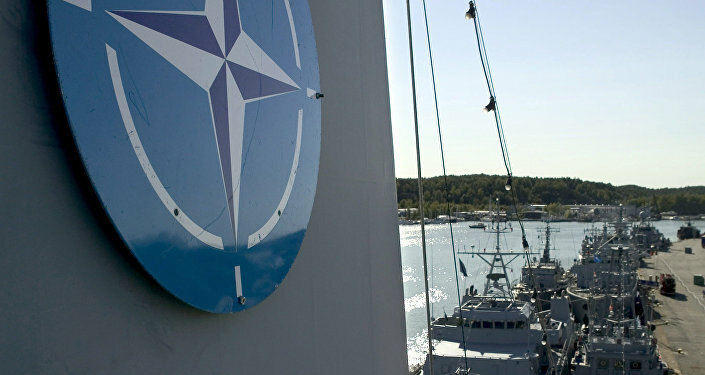 NATO has repeatedly called on its members to spend a minimum of 2% of their GDP on defense. The alliance has been reinforcing its military presence in Europe, particularly in Eastern European states, since the outbreak of the Ukrainian instability, citing Russia's alleged interference in that conflict as justification for the move. Moscow has repeatedly denied the accusations, calling NATO's military buildup near Russia’s borders unnecessarily destabilizing.